Growing up, I had one of the first Mountain Bikes in the area. A very nice Schwinn High Sierra, back from when Schwinn was still a quality bike maker. Even though I enjoyed that bicycle a lot, I always pined for the CarbonFibre Treks. Their high tech treatment just tickled my inner geek to no end. It took me a few years, but I finally picked up a nice used one for not a lot of money. 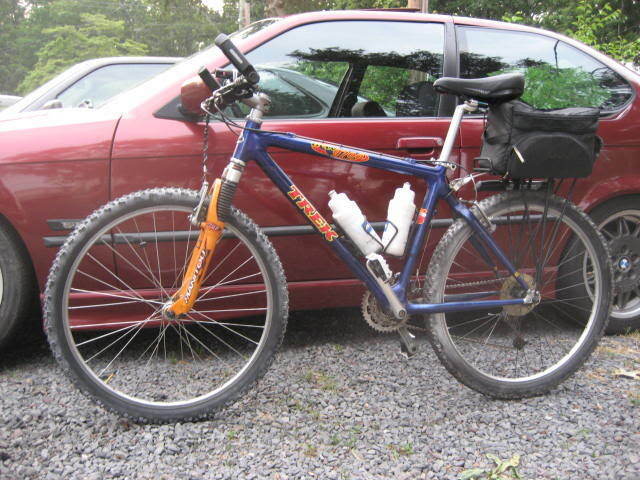 This light weight bicycle has seen me through a lot, from the roadways of Southern New Jersey and the Eastern Shore of Maryland to the soft fire roads that crisscross both peninsulas. It has seen thousands of miles and even survived impacting into the side of an errant Cadillac that turned into a parking lot right in front of me. It's just a great tough old bike.